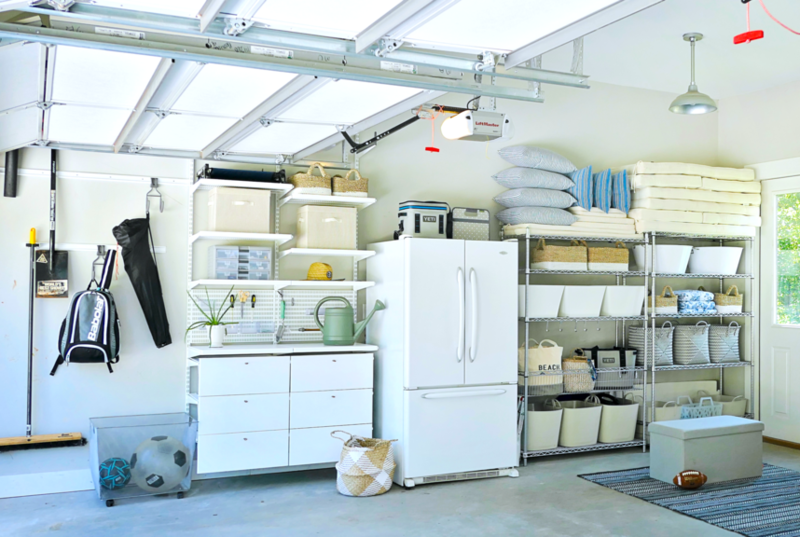 A not so often talked about home-organization problem involves a sneaky part of the garage. No, not the lawn equipment or the tool storage - those all have tried and true solutions. No, the problem that seems to persist is what to do with all the sports accessories. If you yourself play multiple sports, and especially if you have children that play multiple sports, you know the struggle of finding the right solution to organize every ball, bat, racket and helmet. That's why we're here to help. Check out our smartest, most space-saving solutions, below! Keep garage floors clear and utility rooms tidy with our Heavy-Duty Storage Bench. Its rigorous steel frame holds two wire-grid bins, a removable divider and plastic liner. Even the leather-like cushion is durable and easy to clean. As an everyday catchall, it's ready to fill with sneakers, balls, sports gear or outdoor and camping equipment. As a bench, it's a no-fuss place to sit down and take off dirty shoes so floors stay clean. Keep gear organized and garage floors clear with our Heavy-Duty Sports Storage Rack. 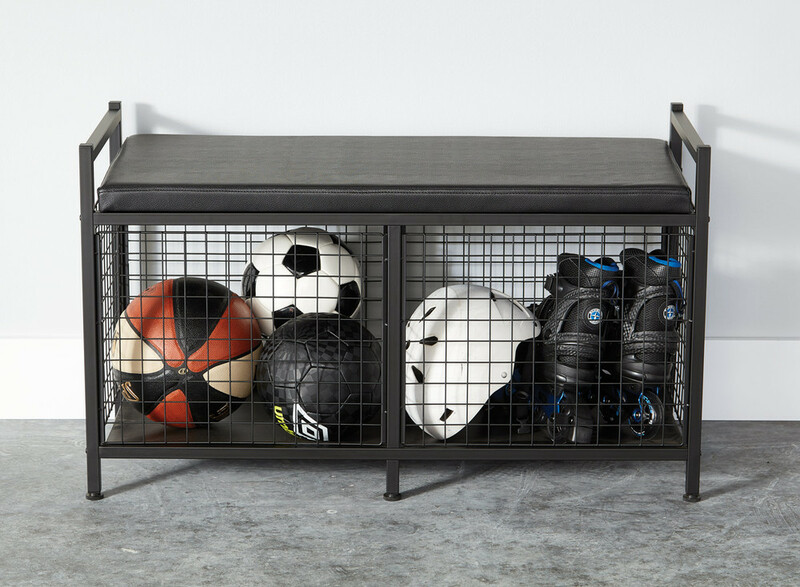 Its rigorous steel frame includes two wire-grid bins: a lower basket for soccer balls or basketballs and an upper basket for baseballs or golf balls. Removable dividers and a plastic bottom liner lets you customize storage while also making it easy to clean. Four removable hooks give you a landing spot for bags, caps or jackets. For a family that's always on the move, this is a serious everyday catchall that eliminates clutter. 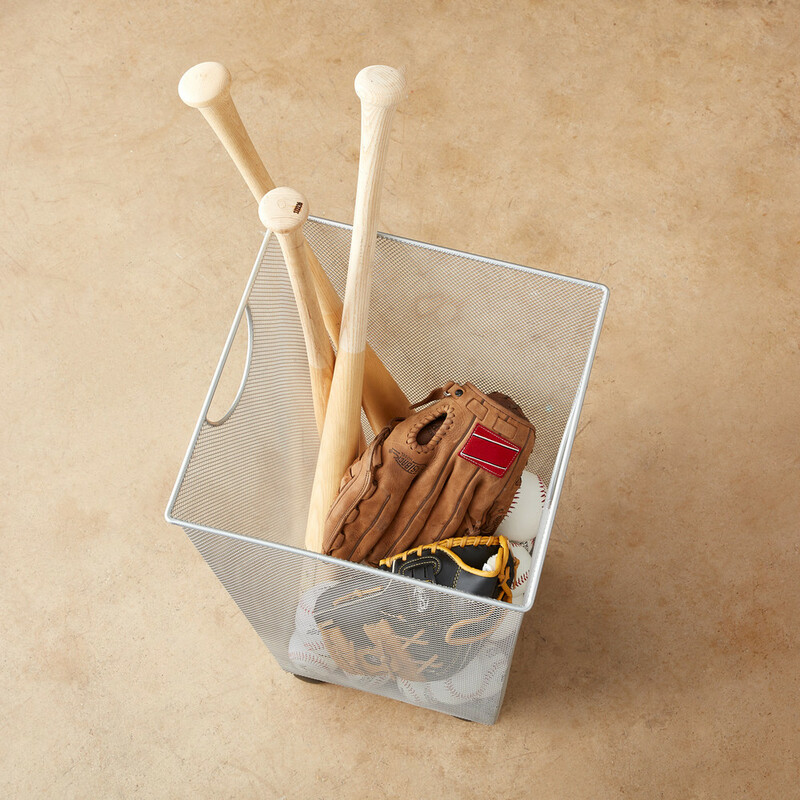 For storing everything from sporting equipment to pool toys, our Heavy-Duty Triple Storage Bin fits the bill. 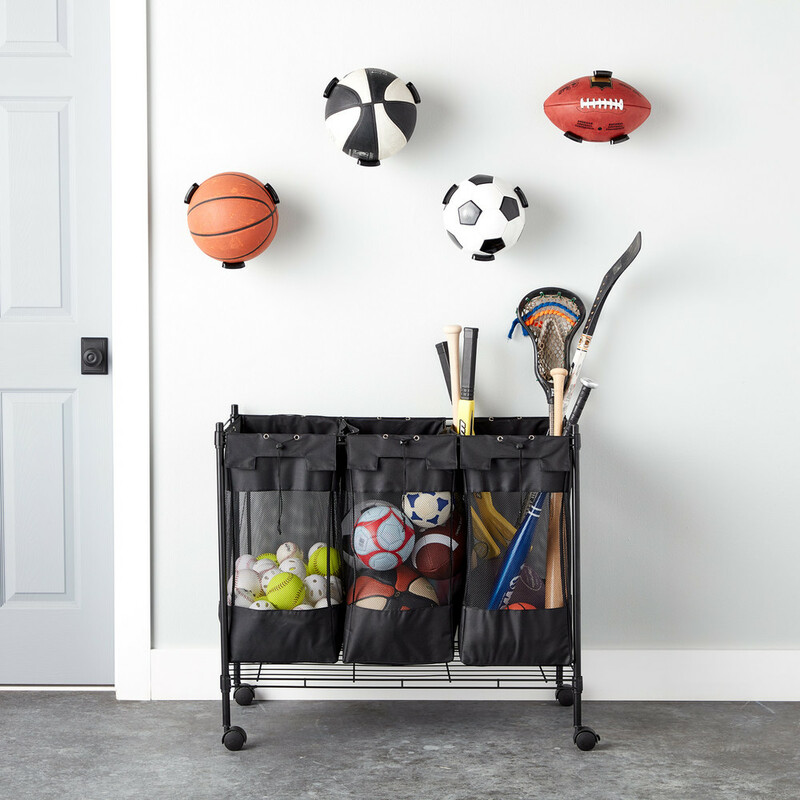 Three mesh bags help you sort and separate items by sport, by kid or by item. Plus you can easily and quickly see what's inside. Four rolling wheels allow you to move the bin anywhere you need it to go. For artful storage and display, our Ball Claws do the trick. Its protective three-prong and two-prong grips hold a range of balls, including soccer balls, footballs, basketballs, volleyballs and more. 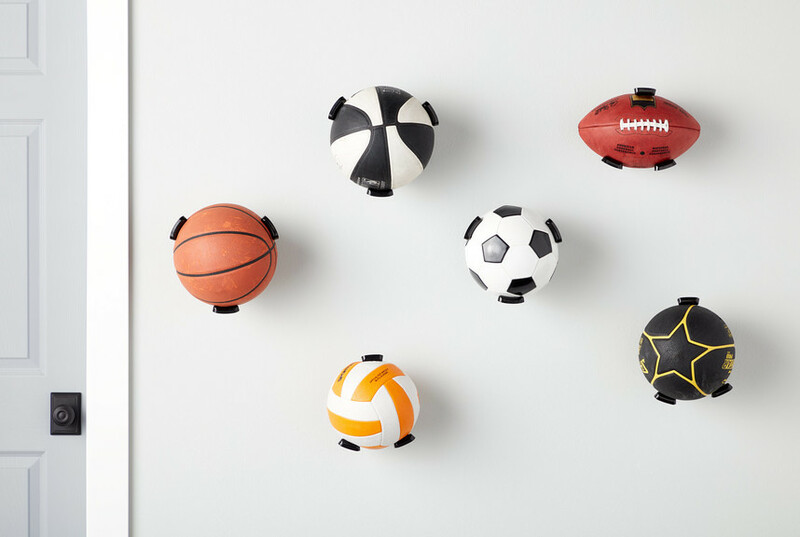 Lightweight and mounted easily to any flat surface, it's great for displaying special balls in a game room or kid's room. 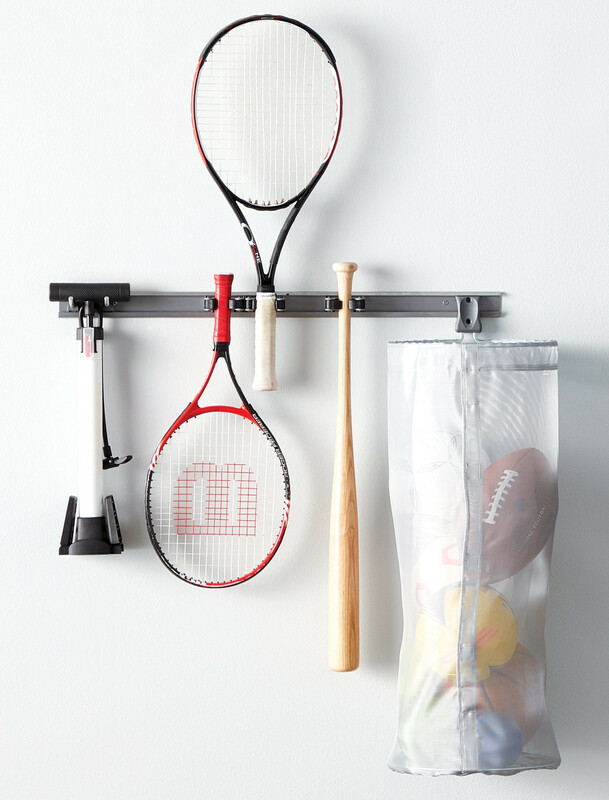 You can also mount a few in the garage, basement or even outside to keep extra balls organized. This all-purpose bin with four rolling wheels can be used for a myriad of functions - but we love it for sports storage! Its epoxy-coated steel means it won't rust, and two integrated handles make it easy to lift and reposition. If you're looking to take advantage of unused wall space, use our exclusive Elfa Utility Track with our assortment of Elfa Utility Hooks. The track itself can be mounted directly to a wall or used in conjunction with Elfa Standards or Elfa freestanding Uprights. Use our Elfa Utility Mesh Storage Bag with the Track to round up sports accessories, laundry or pool accessories, and our Elfa Utility Small Tool Holders organize anything from tennis racquets and baseball bats, to rakes and shovels. 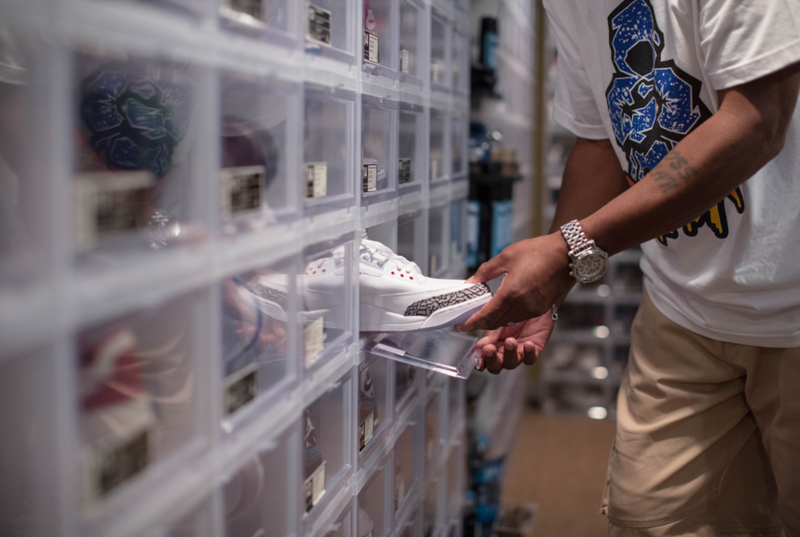 The flexible holder securely grips the item being stored. 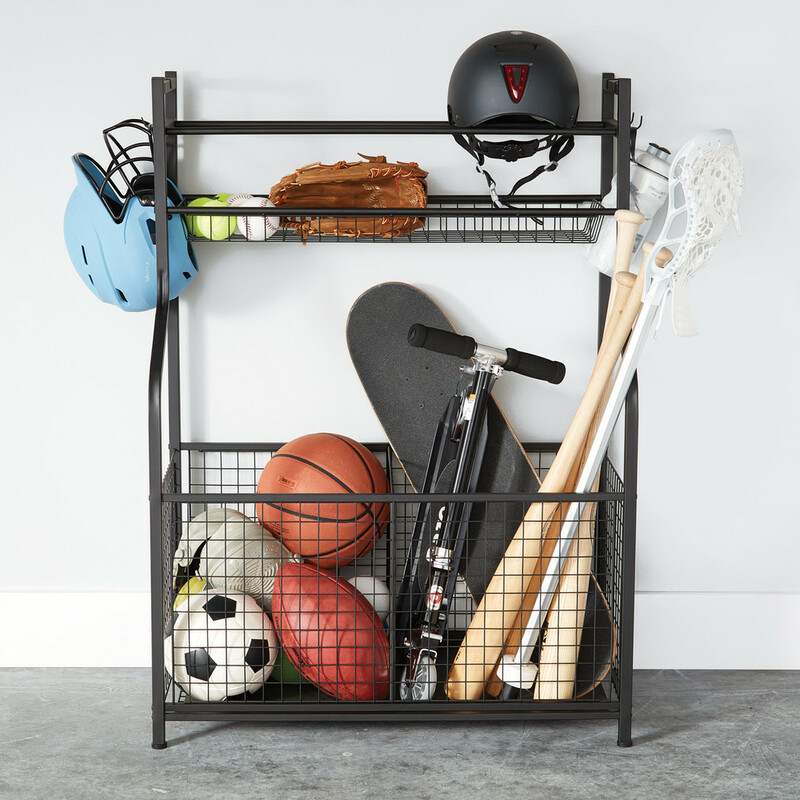 We hope you've found a few sports storage options that have caught your eye, and if you have any quick tips or questions, post them in the comments below! 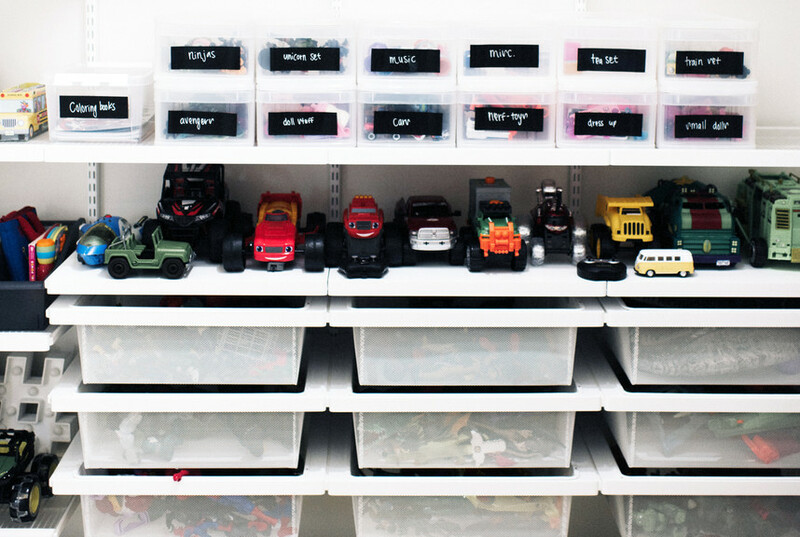 Guest Blogger: The Ultimate Garage Makeover With SwatchPop!